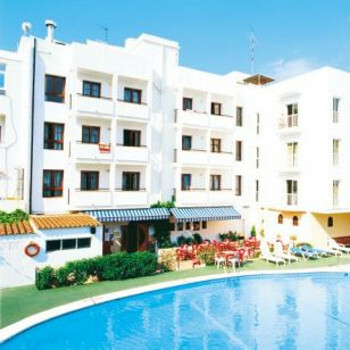 i just got back from ibiza 2day with 3 friends, stayed at the Marian apartments. the staff were unbelievable, so helpful, you all know who you are, Angieee, Kathy, Pepe, Bart, Fernando, I'd rate the staff and hotel more than 5, I'd give them all 100. I'd definitely go back there again muchos muchos lov 2 all the staff. These apartments were brilliant. I loved staying here. Not too big not too small, friendly atmoshere between all visitors. We met some really cool people who were still in touch with. Roberto a member of staff was amazing, he was so funny and so nice, ill never forget him. The food was delicious. The location was perfect, down the road from the west end. The facilities in the apartments were great. I love the Marian apts. and would stay there every year! Well everyone can I just say that my time at the Marian apartments was amazing! Although I did go with my family I still have a really good time.. The swimming pool is really good and the food is sooo good. The apartments are like just 5 mins walk from the Westend which is were all the bars and clubs are. The staff (Billy) are really nice and a great laugh. I just arrived home from these apartments yesterday,and would recommend them they are in a quiet location suitable for older couples or family with small children. I would also highly recommend a meal in the bar they serve up a nice serloin steak, the staff are very friendly and very helpful. When we arrived at the resort by coach without a holiday rep we were first to be dropped off, we were not given directions to our apartments, we played follow the leader lucky enough someone knew the exact location. I found the apartment bright spacious, comfortable and very clean and If I was to go back to Ibiza I would stay in these apts again. We went to The Marian last year. It really mad. We are going back this year again and probably next year too. The only thing is your not allowed to bring people back to the Marian after 12. If you had your music to loud or partying (like we did) they turn off your electric (but just go to the next room). When we were there it just seemed to be all Irish people. All in all this place is definitely for young people.